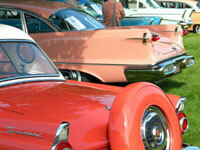 Harley Earl was Vice President of Styling for General Motors and considered the father of American automotive design. Since its inception in the 1920s, GM styling was based on a concept known as “artificial obsolescence,” which involved redesigning and retooling the entire line of cars every two years so that car owners would want to sell or trade in their old car and buy the “latest” model. It worked so well for GM that Ford and Chrysler were driven to follow the same business model which ultimately, years later, led to the financial collapse of the automotive industry. The economic waste due to the enormous cost of retooling body parts and production lines so that automobiles could present a “fresh face” to consumers was of little consequence to executives. What mattered was that to be “in” consumers had to have the “new” model. This manufactured need boosted short term profit for the companies. When I [b. traven] worked in Detroit, I had an older utilitarian Ford station wagon which drove my co-workers crazy. It was disloyal to my GM employer, but it got me where I wanted to go. Even back then I was a brand and style contrarian. Artificial obsolescence and manufactured need is of course not limited to cars. Consider America’s defense industry and its high-ticket items. Let’s kick the tires of the F-22 Raptor “stealth” fighter and the F-35 Lightning II “stealth” fighter-bomber. First of all, stealth technology (involving esoteric and expensive radar absorbing and reflecting materials) adds billions of dollars to the sticker price of these planes, yet the need for this “option” is marginal (at best). There’s little need to evade sophisticated radars in a world with only one superpower. 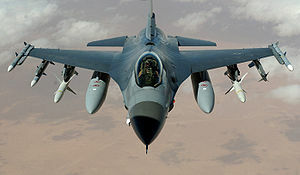 Leaving that aside, consider the effectiveness of previous American fighter jets, such as the F-15 Eagle (available in air superiority and “strike” versions), the F-16 Fighting Falcon, the F-18 Hornet (and Super Hornet), even the ungainly A-10 Warthog. All of these planes are proven performers; they are also far cheaper than the F-22 and F-35, and arguably more effective. Even our profligate Pentagon spenders stopped buying F-22s because at roughly $400 million a copy, they were just too expensive (and also too prone to killing their pilots). Yet the Pentagon is persisting in plans to spend roughly $400 billion to acquire F-35s (despite serious teething pains and horrendous cost overruns), even though older and more reliable models like the A-10 or F-18 are perfectly capable of accomplishing the mission. That’s the story of our military-industrial complex and the compliant representatives of the people who approve these foolish expenditures. They’ll spend countless billions on the equivalent of new tail fins for their latest Cadillac fighter jet. Harley Earl is laughing somewhere. But what’s really obsolete is our thinking, which prefers the new and shiny, never mind the cost, all in the name of short-term profits for industry. It’s an economic model that wasn’t sustainable in the automotive industry. And it sure isn’t sustainable in military circles at a time of supposed fiscal austerity. But, heck: We’re winning style points even as we imperil our economy. Hooray, America! Update 1 (10/3/2013): The Inspector General (IG) for the Department of Defense has identified 719 problems with the F-35 fighter-bomber. Efforts to solve these problems will continue to drive up the per unit cost of the F-35. Meanwhile, Predator and Reaper unmanned drones continue to supplant manned fighters. And when we need a pilot in the cockpit, legacy fighters such as the F-15, F-16, and F-18 continue to perform the mission. Update 2 (10/25/2013): For a detailed (and very sobering) article on the F-35 and all its problems, see Adam Ciralsky, “Will It Fly?” at Vanity Fair. Link here. Also useful is this article by JP Sottile. Just one thing I would add to our joint effort above at examining this obsolete business model and that is how members of our congress from both party s pimp for the military to get the money to squander on these finned monsters. Recently, in a fit of rationality, the Pentagon tried to kill an expenditure for tanks that are indeed obsolete only to have the congressman from the district that makes them override their opposition. Why? Because it would continue to keep jobs ( and votes) in his district. the same congressman would vote against a stimulus bill that would use that same money to build public schools in his district . Yes, the case of the M-1 Abrams tank is especially egregious. Even as the Army says it doesn’t need any more tanks, even as hundreds of M-1 tanks sit idle, mothballed at Ft. Hood, our patriotic Congress is insisting we buy more of these expensive door stops. It’s all about bringing the pork back to your district, never mind the cost and the waste to the taxpayer. It is obvious stealth *is* useful, for similar reason that army uses camouflage clothing rather than dressed in bright red. Harder for enemy planes and ground missiles to destroy the fighter before it destroys them, because they can’t see the stealth fighter. However I think they all are becoming obsolete to drones and better missiles (which are really a different form of drone). Computer tech is just jumping ahead so much.